Custom vSHIP simulator makes “Work Boat” cover! In late 2015, Marine Simulation was contracted by Hamilton Jet Global to provide a realistic 3D visual and physics simulation for a dynamic demonstration system they were designing to market their marine jet propulsion systems. Hamilton Jet is world renowned as a leader in marine jet propulsion and supplier to navies, coast guards, and marine security organizations around the world. The proposed system included two, full-sized and functional, jet engines driven by Hamilton Jet’s user friendly “Blue Arrow” and “Jet Anchor” control systems. Over a period of several months the two companies worked together to interface Hamilton Jet hardware with Marine Simulation software. Since its completion, the demonstration system has caused quite a “buzz” in the industry and at trade shows around the planet netting Hamilton Jet enormous press and exposure. 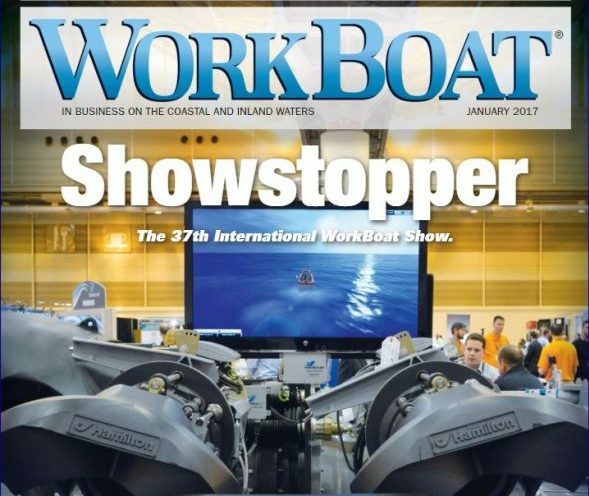 And most notably, the front cover of “Work Boat” magazine. Our new custom demonstration simulator for Blue Robotics will be on display at OCEANS16 Monterey. See the new, low cost, vector thrust powered BlueROV2 ROV and fly the virtual simulated version September 20th through 22nd at booth 604. See you there! 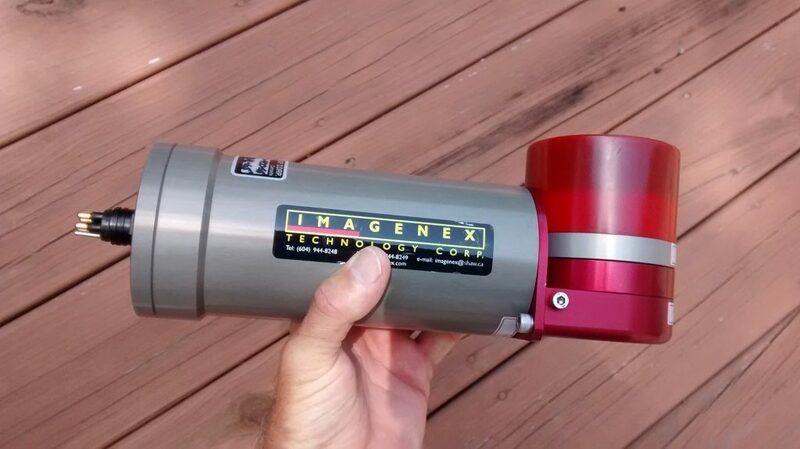 Marine Simulation’s president, Paul Unterweiser, recently had an opportunity to use and evaluate a new sonar, the Imagenex model 881AL-GS gyro-stabilized scanning sonar. The gyro-stabilization allows the sonar to maintain a clear image, regardless of how the transducer is moved or rotated. Read the whole article by clicking on the link below. 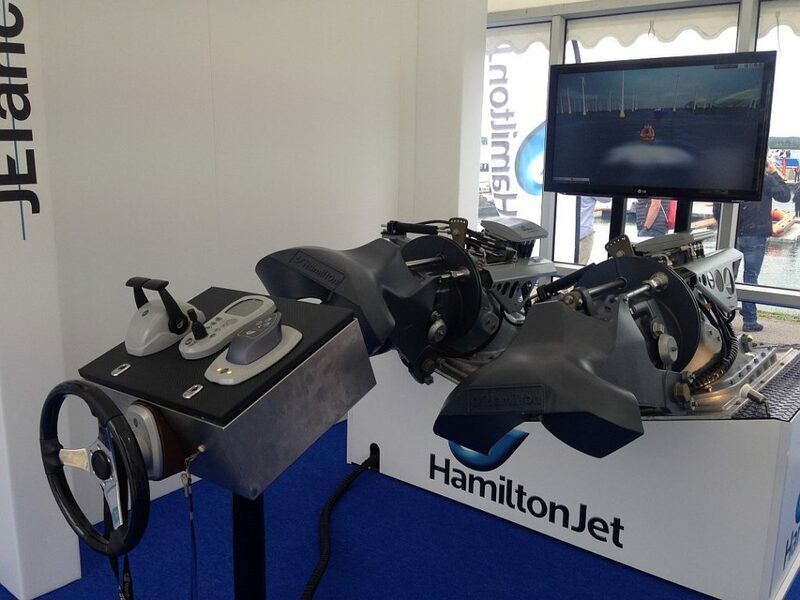 HamiltonJet was recently at SeaWork International 2016 in London and used Marine Simulation’s vSHIP simulator to show off the latest in their high performance, marine jet propulsion systems. In preparation for the event, Marine Simulation worked closely with HamiltonJet’s engineers to integrate vSHIP so it would not only work with HamiltonJet’s intuitive control system, but also control a full sized mock-up of their jets. The combination of using actual controls, jets as well a computer simulated environment resulted in an extremely effective sales tool. To learn more about how your company or school might benefit from one of our simulation products, please contact us. Marine Simulation recently delivered four installations of a custom version of vSHIP ship simulator to Hamilton Jet New Zealand. Hamilton Jet is the world’s leader in marine jet propulsion systems and you can learn more about their products by visiting their website: http://www.hamiltonjet.com/ and learn more about vSHIP by following this link. vSHIP 2.0 – Coming soon! The next version of vSHIP, Marine Simulation’s ship simulator for Windows PC’s, is coming soon! New missions, more features, and even better graphics and physics than before. For more information about vSHIP, visit the vSHIP webpage and to stay current with all our news, like our Facebook Page! We’re always thrilled to receive photos of our simulators in action. Here’s a photo sent to us by one of our clients in Egypt. To learn more about Oxy-Dive‘s training programs visit their website: http://www.oxydive-eg.com/ and for more information about any of our products, contact us. Did you know? Besides our world-recognized ROVsim undersea training simulators, Marine Simulation has also developed Remotely Operated Vehicle (ROV) simulators designed for museums for use in interactive kiosks and exhibits. Our unique combination of realistic 3D environments, sophisticated physics and Artificial Intelligence (AI) allows visitors of all ages to quickly learn how to operate a simulated mini-ROV and perform a variety of tasks. The software application also tracks the visitor’s skills and scores them on how well they did. Widely popular with the public, our museum kiosk simulators are currently in museum exhibits around the world. For more information, contact us. ROV Planet Magazine asked Marine Simulation president, Paul Unterweiser, to share his experience with Deep Trekker‘s top of the line mini ROV, the DTG2 Worker. These Canadian built ROVs have a unique propulsion system and a number of other interesting features. The article appears in Volume 4, page 29, check it out! Marine Simulation recently demonstrated the ability to capture accurate 3D models of underwater structure in poor visibility using Structure from Motion. Structure from Motion is a recently developed technology that reconstructs a 3D model from a series of photographs of a subject. Underwater use of this technology is typically limited to nearly perfectly clear water but Marine Simulation was able to demonstrate its effectiveness in very turbid water with as little as 0.5 meters visibility. Equipment used included a Deep Trekker DTG2 mini ROV, Sony Action HD camera and custom software running on an i7 laptop. The test sample below was a section of piling approximately 0.7 meter diameter and 1.5 meters in length. The Australian Antarctic Division, a division of the Australian Government’s Department of Environment, uses Marine Simulation’s ROVsim² Pro to prepare for ROV operations in the Antarctic. They use ROVsim² Pro‘s simulated SeaEye Falcon to hone their skills for the real thing. Top photo: Peter “Elwood” Mantel at the controls of ROVsim² Pro at the Australian Antarctic Division headquarters. 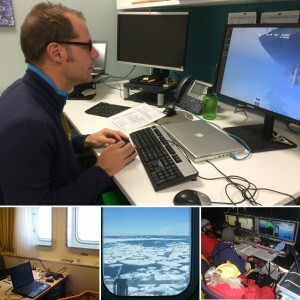 Bottom left photo: ROVsim² Pro laptop setup onboard the German research vessel “Polarstern” in 2013. Bottom center photo: Porthole view of Pancake Ice aboard “Polarstern”. Bottom right photo: SeaEye Falcon ROV field setup on sea ice in 2013. Left to Right: Electronics Engineer Mark Milnes, Australian Team Leader & Sea Ice Ecologist Klaus Meiners & ROV Pilot Peter ‘Elwood’ Mantel. Designed specifically to train for near shore, coastal and inland marine operations, ROVsim² Pro is a complete undersea ROV simulation system for observation class ROV operators and trainees. Learn more here. Marine Simulation’s ROVsim² O&G was recently chosen by Shanghai Jiaotong University for their new underwater vehicle virtual simulation facility. 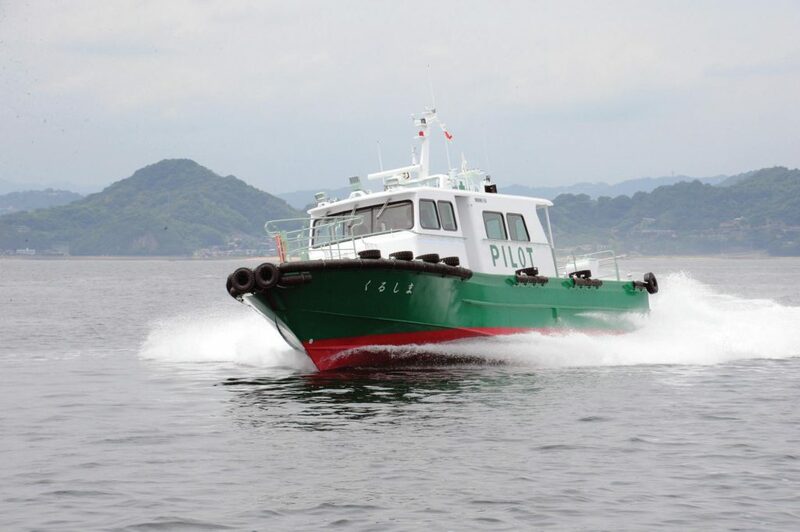 Marine Simulation worked with Beijing OceanEco Technology Co.,Ltd. in Beijing who provided local support. Shanghai Jiaotong University is a public research university located in Shanghai, China. Established in 1896, the university is renowned as one of the oldest, most prestigious and selective universities in China. Updated version now includes new video overlays. 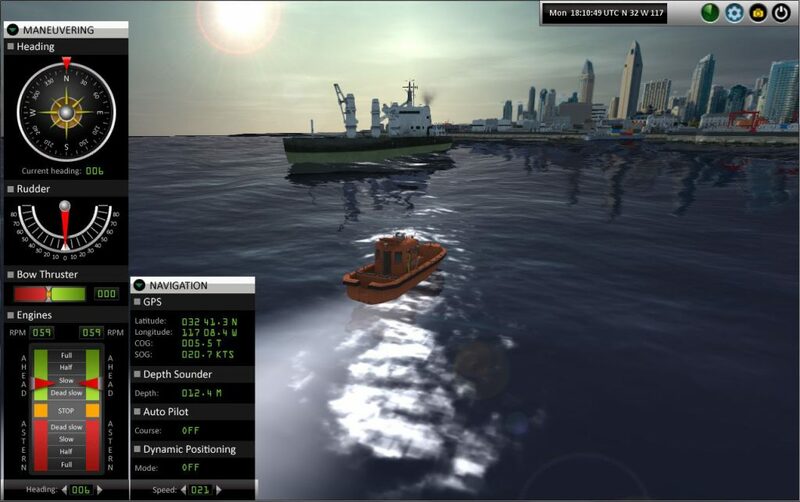 Marine Simulation recently released ROVsim² Pro Version 1.5. This important new update added several new features including two new video overlays: Outland Technology and VideoRay. ROVsim² Pro puts control of virtually every facet of the simulation in your hands. You can adjust the ROV’s physics and dynamics, change the video overlay, enable options such as casualty simulation, and adjust the environment. With just a few clicks, the video overlay as well as physical and dynamic operating characteristics of the vehicle can be changed to simulate a wide range of ROVs. And with just a few more clicks, the environment can be changed from clear and tranquil to zero visibility with dangerous currents. No other ROV simulator on the market offers this much flexibility at this price point. Announcing ROVsim® Web: The world’s first Remotely Operated Vehicle (ROV) simulator delivered through your web browser. Based on Marine Simulation’s ROVsim® technology. ** Works with the most popular web browsers. ** Windows and Mac compatible. Marine Simulation is on Facebook! All the very latest news for Marine Simulation is now available on Facebook. Social media is one of the most effect means of sharing information there is. As Marine Simulation grows we recognize that we need to continue to respond to our customers and partners in real time. Effective immediately, Marine Simulation’s Facebook page is -live-. Be sure to click on the link and “Like” us so you will have immediate access to all our latest news, updates and specials. Two More Schools Choose ROVsim² O&G! Marine Simulation recently delivered ROVsim² O&G training simulators to NUTECMAR and RoboticVision, in Rio de Janeiro, Brazil and Subnet Services, Quezon City, Philippines. The new Brazilian ROVsim² O&G Installation in action. Partner Brazilian companies NUTECMAR (which stands for “Núcleo de Tecnologia Marinha e Ambiental”) and Robotic Vision, recently acquired a license for ROVsim² O&G to be used in their new ROV pilot training facility in Rio De Janeiro. This facility, believed to be the first of its type in South America offers IMCA approved ROV pilot training at all levels, and ROVsim² O&G is an integral part of their training program. The simulator is also available to ROV pilot technicians so they may hone their skills. You can learn more about NUTECMAR and Robotic Vision, as well as their training programs in Brazil by visiting their websites at http://www.nutecmar.com.br/ and http://www.roboticvision.com.br/. Located on the other side of the globe, Subnet Services Ltd. also took delivery of a license for ROVsim2 O&G for their Philippine based ROV school. With training facilities in the UK, Subic and Manila, Subnet Services is one of the biggest and best known names in professional offshore and ROV personnel training and staffing. Subnet Services offers a wide range of certified professional training, both on site and on line. 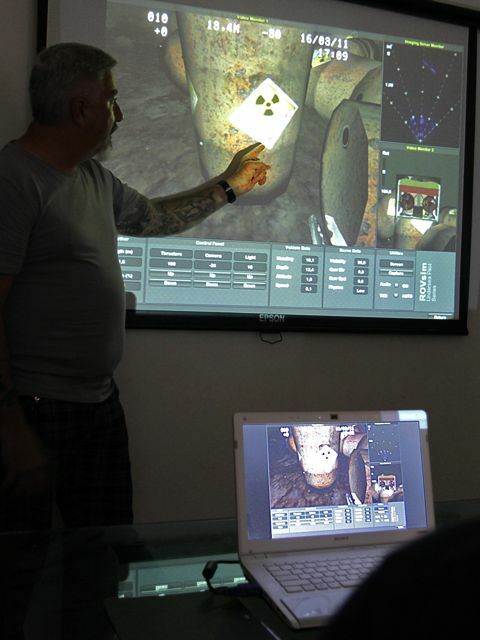 Subnet Services teaches ROV professionals via their web training system. You can learn more about their school and services by visiting their website http://www.subnetservices.com. Marine Simulation recently delivered a ROVsim² O&G training simulator to Educational Systems and Technologies On the River and the Sea (“STORM”) Ltd. in Moscow, Russia. 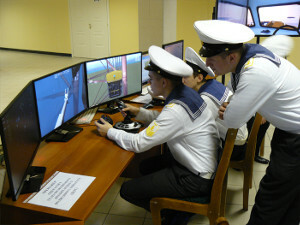 STORM Ltd. is widely renowned throughout the region for their recognized maritime school and widely used computer based training (CBT) programs. Their new facility offers training for IMCA pilot technician grades I and II and is the first of its type in Russia. Designed specifically for the offshore oil and gas industry, ROVsim² O&G is a complete undersea ROV training system for observation and working class ROV operators and trainees. 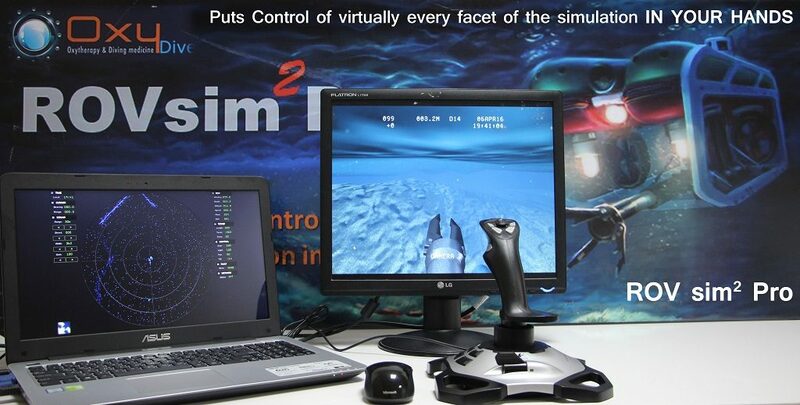 ROVsim² O&G puts control of virtually every facet of the simulation in your hands. You can adjust the ROV’s physics and dynamics, change the video overlay, enable options such as casualty simulation, and adjust the environment. With just a few clicks, the video overlay as well as physical and dynamic operating characteristics of the vehicle can be changed to simulate a wide range of ROVs. And with just a few more clicks, the environment can be changed from clear and tranquil to zero visibility with dangerous currents. 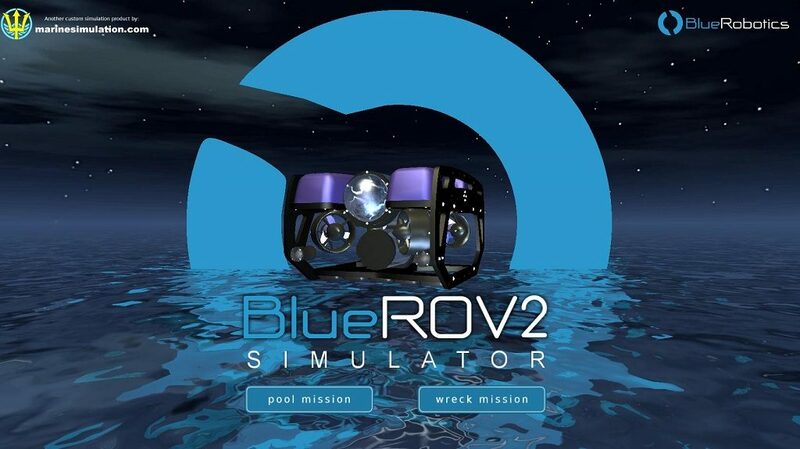 If you would like to learn more about STORM Ltd.’s ROV training program visit their website and for more information about ROVsim² O&G click here. 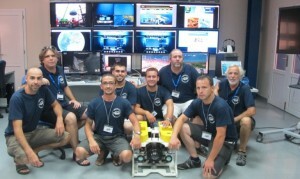 Spanish ROV Pilot School Chooses ROVsim Pro! QSTAR SL of Las Palmas, Canary Islands and Barcelona, Spain, recently incorporated a ROVsim Pro training simulator into their ROV pilot training program. QSTAR SL of Las Palmas, Canary Islands and Barcelona, Spain, recently incorporated a ROVsim Pro training simulator into their ROV pilot training program. QSTAR ROV Training Center is the first ROV Training School in Spain and offers high quality, industry standard training and the right equipment for Remotely Operated Vehicle (ROV) Pilot training and Specialized Technical related courses focused on the offshore Oil & Gas industry, Diving, Search & Rescue, Oceanography & Marine Research, Marine Archeology or Aquaculture. Five new Oil and Gas missions, including two new anchor and suction piling support missions that can be used independently of or fully integrated with Marine Simulation’s vSHIP ship simulator. Four new Search and Recovery missions, including an airliner “black box” recorder recovery mission modeled after the recent Air France recovery effort. A variety of new ROV tools, including 7, 5, and 3 function manipulators, cathodic potential (Cp) probe, ultrasonic thickness probe and laser measuring devices. Full serial communications (RS 232, RS422, etc) support so the simulator software can be integrated into custom control consoles and send data to external devices such as chart plotters and instrument displays. Extended support for Windows 7 64 bit operating systems enabling even larger and more complex mission areas than before. 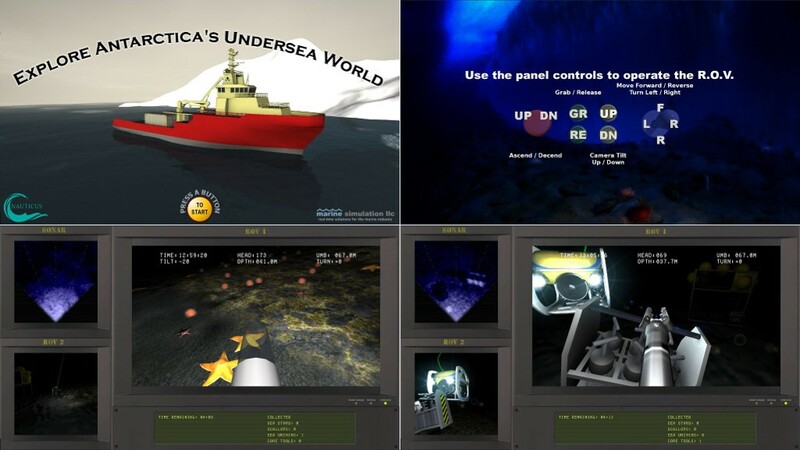 Since its initial launch in 2006, ROVsim has become one of the most popular ROV training simulator systems on the market today. ROVsim and vSHIP simulators are being used world wide and are currently in use in over 60 training facilities and schools in 20 countries. ROVsim2 is expected to be available for delivery later this year. Marine Simulation is pleased to announce the release of their latest product. vSHIP is specifically designed to train and prepare ship-board personnel for the ever growing roles and responsibilities they face in support of the offshore industry. Flexible scalability, unmatched visual realism, and compliance to a wide range of industry standard interfaces are all integral to the simulator’s design. Available as a desktop PC based simulator, vSHIP can interface withmarine electronics and navigation software via industry standard interfaces, as well as with other vSHIP and ROVsim Pro installations, providing a real world, coordinated operation simulation. Drawing on our experience in undersea simulation, vSHIP sets a new level of unmatched visual realism and advanced physics simulation. Potential training applications include: offshore mooring and support operations, coordinated bridge / ROV team operations, naval mine and ordnance sweeping and clearance, as well as complex mission rehearsal. Marine Simulation LLC produces interactive, computer-based simulations of surface and sub-surface craft for marine professionals. Using state of the art technologies and over 2 decades of hands on industry experience, our simulations deliver a level of visual and functional realism never before possible. Our simulators are being used world wide and are currently in use in over 50 training facilities and schools in 18 countries. Nutecmar, of Santo São Paulo, Brazil, recently incorporated a ROVsim training simulator into their micro ROV training program. When asked about the ROVsim simulator, Managing Partner Eduardo Meurer had this to say, “The simulator is showing itself to be an incredible tool for students to get practice before piloting the real ROVs. It utilizes the same kind of controls as our Gnom ROVs plus the simulator reproduces more challenging situations very well”. Nutecmar’s week-long “Introduction to ROVs and Micro ROV Pilot” course consists of an introduction to ROV operations, background and theory, hands on flying in progressively more difficult situations and operating a virtual ROV in different environments and scenarios in the ROVsim simulator. Nutecmar is the Latin American distributor of GNOM ROV’s which are manufactured by Indel-Partner Ltd. in Moscow, Russia. Nutecmar has plans to expand with additional classes for not only micro and mini class ROV operations, but also working class ROV’s which they hope to start later this year. SeaBotix Inc. of San Diego, California in cooperation with industry leading companies Tritech International and Marine Simulation LLC have developed the first specially designed, rapid response underwater rescue system. Until now remote operated technology has been used to recover drowning victims, not rescue. Improved medical studies have shown that a person experiencing near drowning in water up to 21ºC has the potential for rescue. If the victim can be rescued from the water within approximately 90 minutes there is a good chance that the residual oxygen in their body will keep them alive without permanent damage to their vital organs. The problem has been locating and rescuing the victim in difficult conditions without furthering human risk. SeaBotix Inc. was approached by Derbyshire Fire & Rescue in the United Kingdom to develop a solution to the more than 700 drownings per year. The UK Fire & Rescue has the ability to be on location in response to an emergency in under 10 minutes, however, they are unable to work below the water. SeaBotix worked closely with the Derbyshire Fire & Rescue to develop a new ROV rescue system that would operate in near zero visibility, in poor weather and strong currents, while being simple enough to operate by rescue personnel. The result is a modified LBV system with high definition Tritech Gemini 720i imaging sonar, limb grasping manipulator, video enhancement and a small diameter, low drag tether with a 100kg working load. In addition, the advanced SARbotTM rescue system includes a new high resolution StarFish 990F side scan sonar from Tritech International and a purpose built LBV training simulator by Marine Simulation LLC. The total package offers rescue teams with large-area search capability and built-in training in a rapid-response rescue ROV. In field trials with the Derbyshire Fire & Rescue proved the ROV system can be setup and deployed in less than 3 minutes providing rescue personnel with time to locate the victim. The system was simplified to reduce technical aspects found in ROV systems requiring care or attention. This allows for rescue personnel to focus on rescue and not setup. A typical scenario is one where a person has consumed alcohol late at night and decides the nearby water looks inviting. Upon entering the water the person is shocked by the coldness and inhales water. This process leads to filling of the lungs and drowning. Upon receiving a call, rescue personnel can set up and deploy at the last seen location of the drowning victim. Utilizing the Gemini 720i imaging sonar, the drowning victim is located and the rLBV is navigated to within grasping range. For conditions where visibility is near zero, external ultra bright LED lights and video enhancement are utilized. 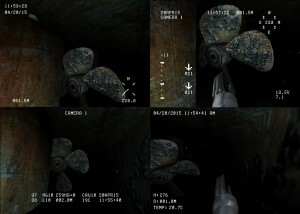 Upon locating the victim, the specially designed grasping jaws attach to an arm or leg and the rLBV be pulled back to the shore using it?s ultra strong tether. Once the rescued victim is to shore, the medical technicians can prepare for transport to a local hospital and ultimate revival. The SARbotTM is an exciting new technology with tremendous potential for saving lives around the world. The patented and feature patent pending system is unlike anything currently available on the market.